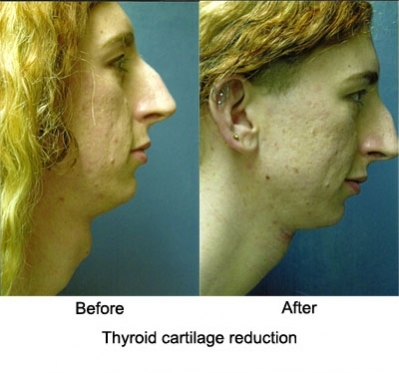 People who are undergoing a male-to-female (MTF) transition consider having chondrolaryngoplasty or thyroid cartilage reduction surgery to reduce the classically male characteristic, the Adam’s Apple. 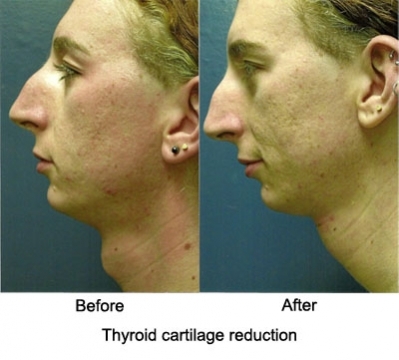 Having thyroid cartilage reduction surgery, more commonly known as a “Trach Shave”, reduces the prominence of the Adam’s Apple to provide a more feminine appearance. 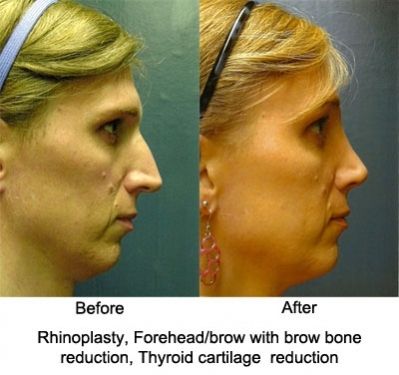 This surgery is done on an outpatient basis, unless combined with other surgery. 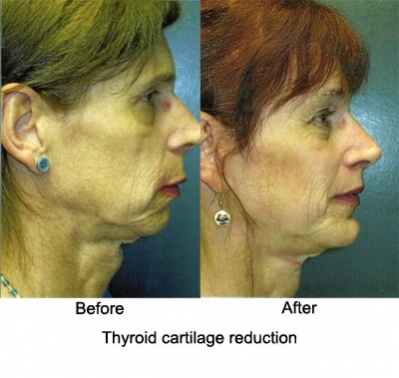 We look forward to discussing thyroid cartilage reduction surgery with you in order to help you become completely comfortable with your choices.